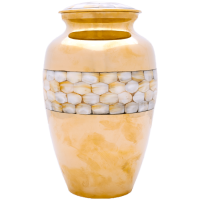 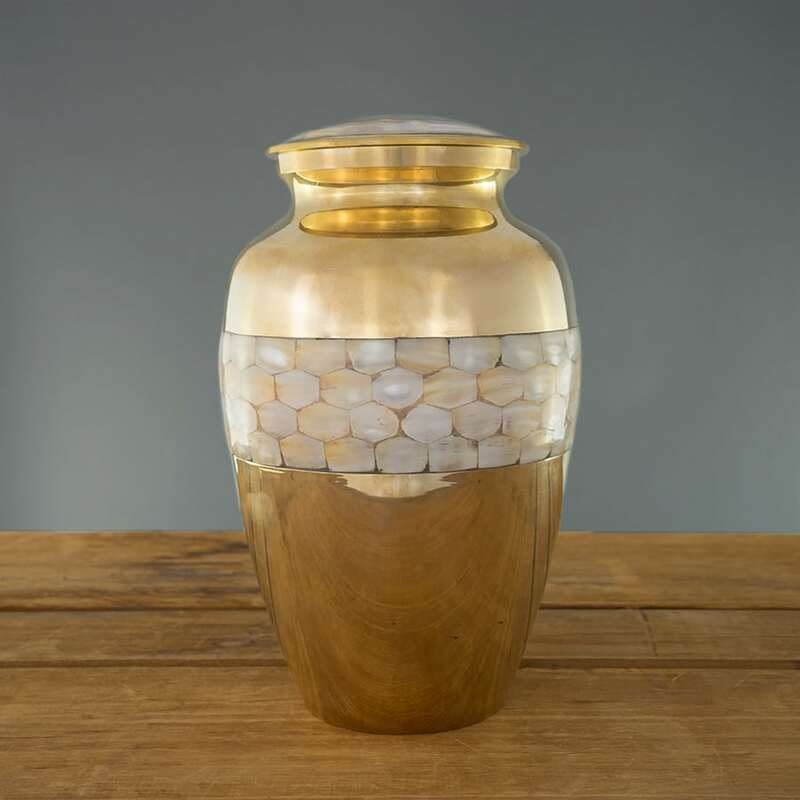 The neoclassic Mother of Pearl urn is made of solid brass with a muted satin finish. 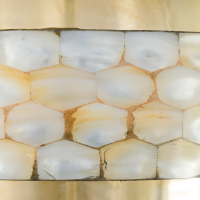 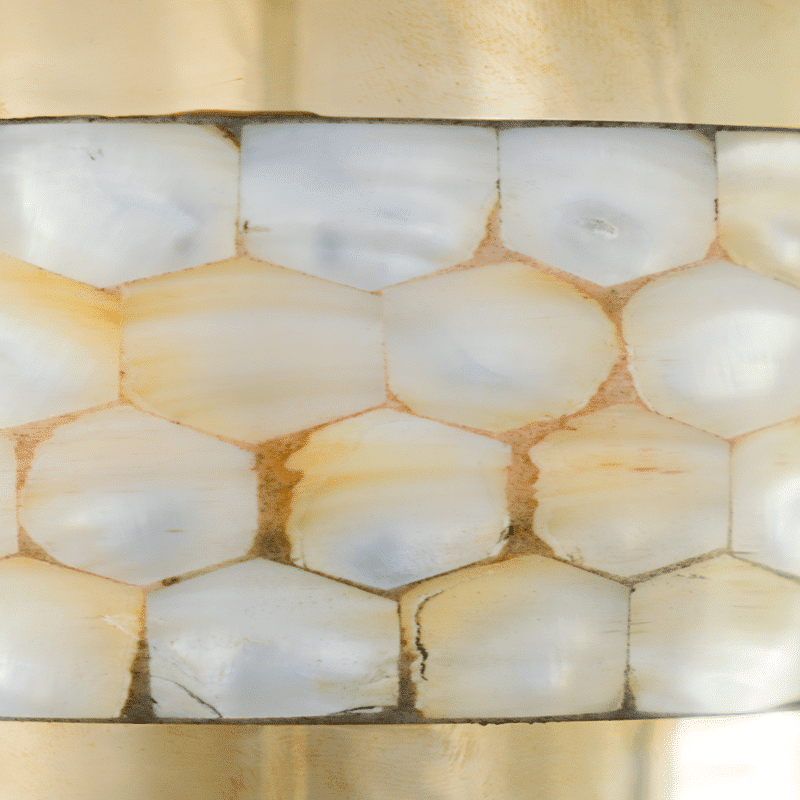 It has a beautiful, iridescent inlay band of semiprecious mother-of-pearl around the middle and on the lid. Its simplicity and elegance make a tasteful statement piece displayed in your home.